Hello Friends, I hope you are doing well. Thank you for visiting again. A major reason for my demanding schedule is due to a large amount of designing I have been doing since summer last year for upcoming fabric lines. After all these months I am finally able to share with you many of those designs aimed to feature these new fabric lines! 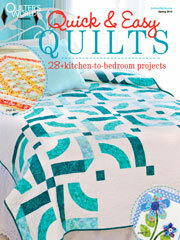 I was honored to be able to design a quilt for the beloved Eleanor Burns’ new line Zoey! If you like soft, sweet, romantic, English gardens… you will love ZOEY! 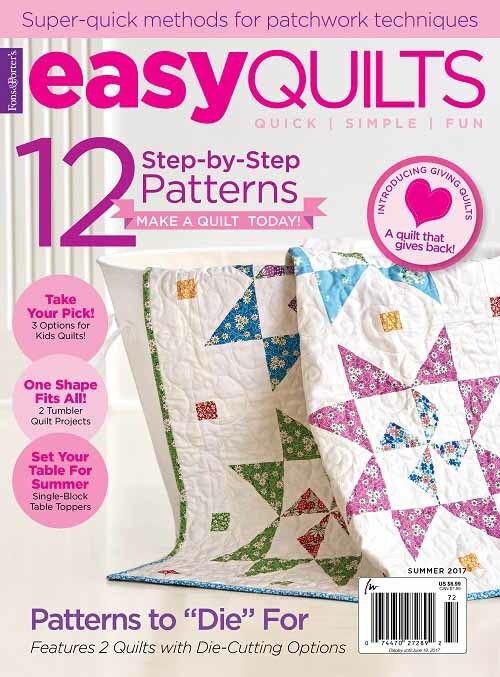 And remember — ask your local quilt shops to carry Eleanor’s newest fabrics just because… we love Elenaor! Another busy day… so, I’d better run for now! I hope you have a lovely day! Hugs to you all. This entry was posted in Quilt Pattern, Quilting and tagged Benartex Zoe Fabric Line, Eleanor Burns, Floral Quilt, Floral Quilting Fabric, Wendy Sheppard Designs. Bookmark the permalink. 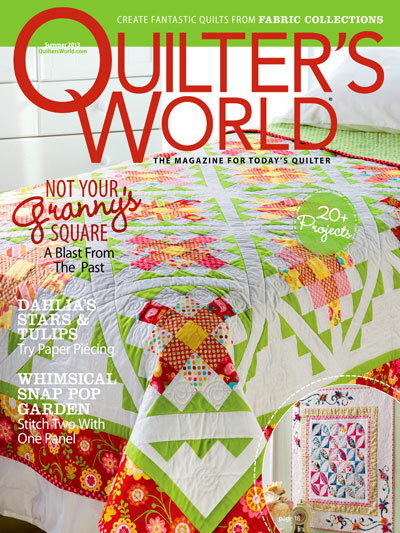 ← Winner of McCall’s Quilting Magazine Giveaway! I’m very glad to see a fabric line which isn’t cutesy, kidsy, whimsical! Your work is amazing, but cute whimsical fabrics are not my preference. I suppose you are at the mercy of the fabric companies and must use what they send. Let me just say, I really like this Zoey line! 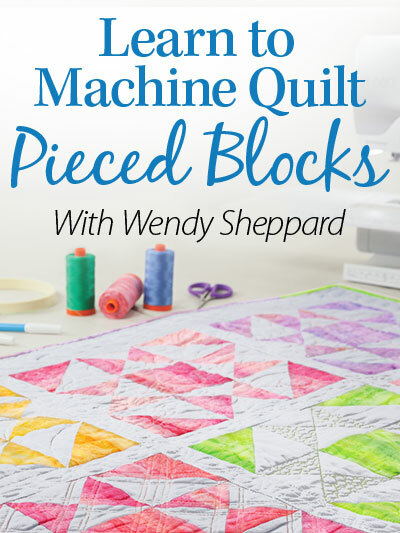 Wendy, the quilt is beautiful as is the fabric line. I am quilting a purple and green quilt and have cut out another lavender and green one. Those mark # 2 & 3 with that color scheme and I don’t have any purple in my house decorating wise. 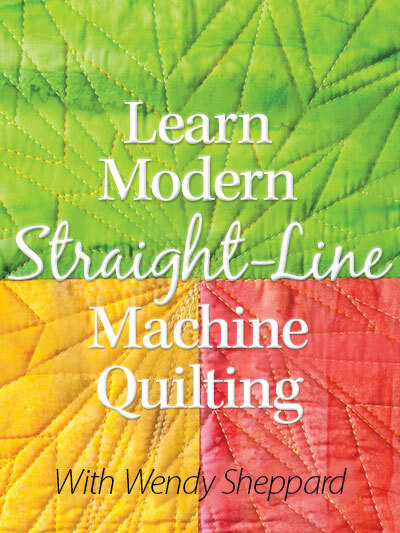 😛 Can you please contact me to let me know total cost of your quilt book? I would like to send you a check for an autographed copy. Your sneak peak didn’t give this quilt away at all. It is absolutely gorgeous. Thank you for another wonderful free pattern. II love this design, and I love, love love the fabrics! Thank You! cant wait to do this one! Such a soft, feminine, very appealing quilt. I would love to snuggle in it right now. Love the pattern, love the fabrics. Have a great week.!! That is very pretty. Love this color combination! I love the fabrics in that one. I’ve always wanted to have one room done in lavender but haven’t yet so far. Gorgeous design with gorgeous fabrics. Thanks for sharing it! 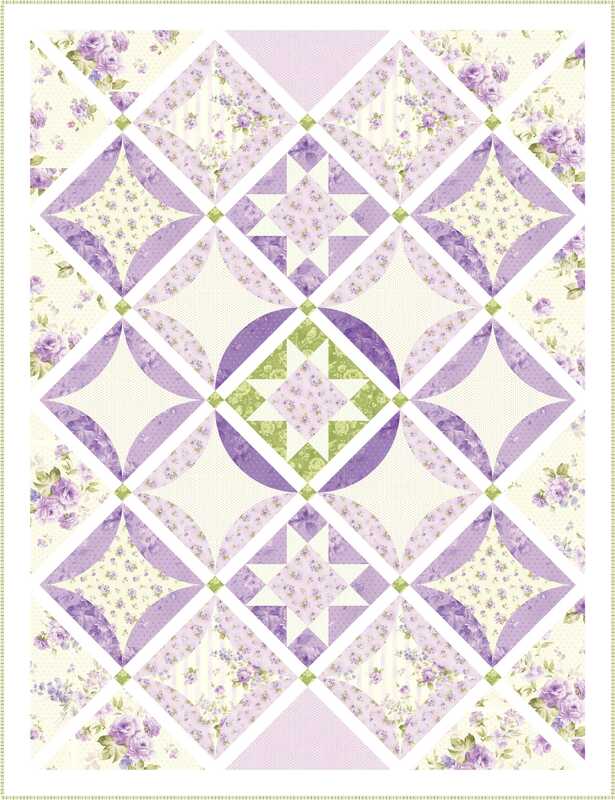 And the quilt would look so pretty in my lavender bedroom. It’s my favorite color! Oops, sorry. I just saw I wasn’t signed in. It’s Maryellen. I love Zoey’s Flowerbed quilt pattern. Thank you for sharing. I do have a couple of questions about the orange peel applique. Is the orange peel appliqued onto each block after the whole top is completed? 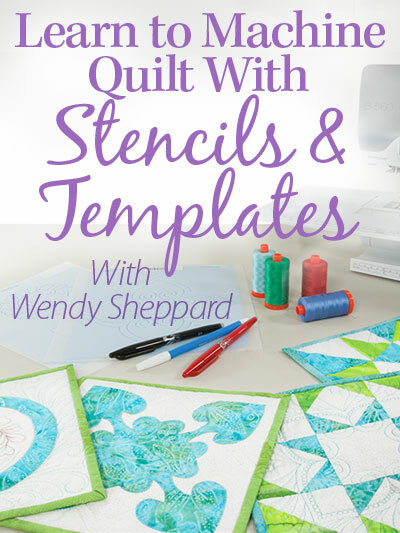 Do you blanket stitch around both the curved edge and the straight edge? Thanks for your help. WOW – this is beautiful Wendy — Thank you!! You did a marvelous job, thanks for the pattern. I love the Zoey’s Flower Bed pattern, but when I clicked on the download button, it doesn’t download. I do have windows 10 and do not know if this is the problem or not but is there any other way to get the free pattern.